Fire Extinguishers Australia - Why Us? 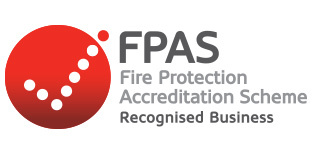 Any number of companies can sell you or your business a fire extinguisher, but the really significant issue is that of professional ongoing support. The fact is that proper servicing and maintenance are just as important as the original purchase. 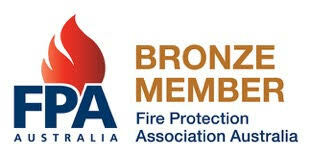 Fire Extinguishers Australia will not cut corners. You can be absolutely assured of textbook principles and practices. Our company's Director Tony Silva has an extensive and acclaimed WHS background. As a Master Project Manager and accredited auditor of WHS Management Systems, Tony is renowned for having a critical eye for detail. He fervently insists on stringent standards. That's an eye that will dutifully focus on your safety and quality assurance. We have an extensive range of fire protection equipment, competitive prices and provide no-fuss installation. Your purchase needs will be thoroughly met. Where we really stand apart however, is when it comes to follow up service. We pride ourselves in guaranteeing the ongoing operational effectiveness of your investment. We do this because we genuinely care about your safety, the safety of the community and the environment. See, we are more than a business: what we do really matters; our motivation and methods reflect this. We're with you for the long haul. Fire Extinguishers Australia has the equipment you need and – just as importantly – we guarantee you the proper maintenance you truly must have. Remember, if the fire extinguisher on your wall is not properly serviced and maintained, you may as well put up a picture frame. Few businesses will do this deliberately of course. In most cases they are too busy doing business, and that vital item on the wall is simply forgotten. We can become your faithful prompt and provide an effort-free service when checks and certification dates come around. • For the rest of your days you will be glad you made the investment. That is what Fire Extinguishers Australia provide: a return on investment that at the very least will make your life easier, and at its most, may well save lives or your business. We look forward to your call or enquiry. Just use the contact box on the right or phone us on 1300 EXTINGUISH. We really do care.